I found your site very useful. I will bring a Welsh Pembroke Corgi puppy home, her name is Elspie and she will be next month at the end of May seven weeks. However, I have a little worry, the travel time is 5 hours and stops its freedom and the regular traffic is closer to six hours before you come home. So I wonder how this will go, because you have so much experience. I have a mother 3 yrs and her baby 2yrs. They are very small about 10 lbs. Napoleon syndrome I think. They are barkers and I am at my wits end trying to get them to stop. They bark at anything walking by the house. I’ve tried everything. I have a 9 week old mini dachshund that I brought home at 8 weeks. We have a doggie playpen (the outside pen that’s used for containment exercise) that we keep in the kitchen for him to use instead of a crate. The reason for that is that he WILL NOT calm down in a crate and barks/whines non stop. He still barks and whines for a while when I put him in his pen at night and he seems to be anxious so I’m not real sure he even sleeps. Could the pen be too big for him? Also, he is already really attached to me and we tried the crate in our bedroom but he sees me and won’t settle down. He also won’t sleep during the day unless I’m holding him. Any advice would be greatly appreciated. Thanks! I’ve read through all the training and have been doing it all from the beginning with our pup since I found your blog prior to getting him. He’s a three month old German Shepard that we got at 10 weeks old. 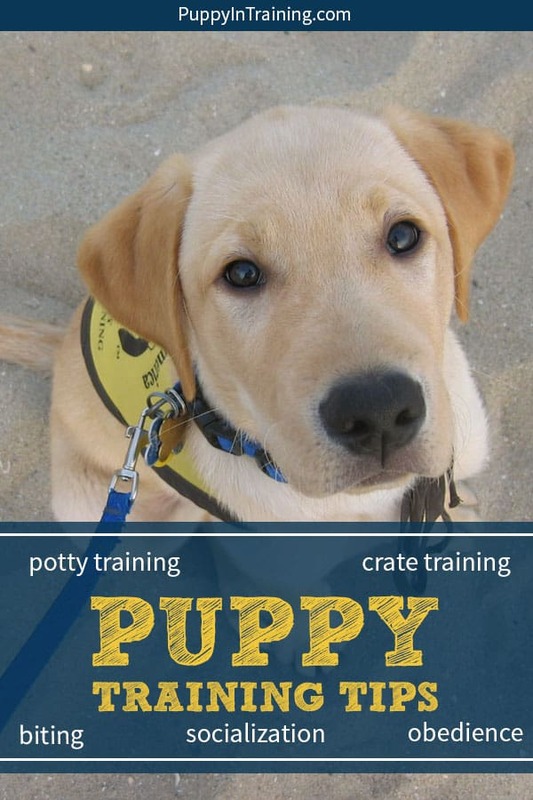 He is having trouble with potty training, with the most discouraging being his accidents in his crate. His crate is the correct size, there’s no blankets or anything inside AND we’ve used the cleaner that you recommend to get rid of the smell of urine. He will go all night long without using the potty in his crate, but then we’ll put him in there during the day for less than an hour and he pees in it and lays right down in the pee, he doesn’t seem to care at all. I don’t understand why he is fine all night long but then pees almost every single time he is crated during the day. We walk him, he pees and gets praised, and he’s kept on a consistent feeding schedule. It doesn’t matter what time I crate him, nine times out of ten, he’s going to pee. Any advice? I’m over having to washing my dog and crate every single time I leave the house. That sounds very frustrating. It might be time to bring in a certified professional dog trainer to assess your situation. Here are a few questions I’d have: How many hours is he in the crate during the day? at night? Have you noticed him getting separation anxiety? Where is your crate located and is it a quiet area? Have your gotten a health check with your vet?